Posted by Ed on 2:03 pm in blog | Comments Off on Is air pollution the new global warming? They tried for nearly 40 years to convince us the world was warming. That we faced a climate catastrophe. That the oceans would rise up and engulf us like some beast from below. Fortunately most intelligent people have realised it is nonsense so they have had to think of a new stick to beat us with. Air Pollution. The fact that aviation is being deliberately excluded from all of the discussion on the topic is a clear sign that this is just another Establishment ruse. 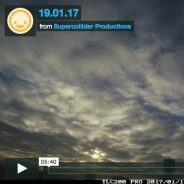 If you are in any doubt as to what is going on then don’t forget to watch our daily time-lapse films of skies over West London. They show that the air we breathe is a soup of stuff that is being released by aircraft as they fly out of their way to pass very low over London every day. While Sadiq Khan tries to ban diesel vehicles from London’s streets, he refuses to answer our emails or calls to ask why he is not talking about aviation’s contribution to the ‘toxic smogs’. If you think that is just an oversight by him then think again. Visit one of our 2 Vimeo Channels here. 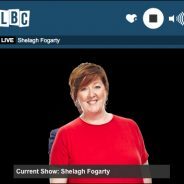 Solar Radiation Management was mentioned today on LBC on the Shelagh Fogerty show. Well done to Nadia from Pimlico for mentioning it. The presenter became audibly agitated and cut the call pretty sharpish, but job done. Please do this as much as you can. 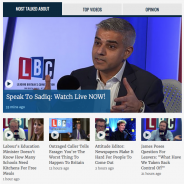 LBC is listened to by hundred of thousands of people during the day and is a great way to get the word out there. On that note, we have tried repeatedly to get on and speak about why Sadiq Khan is refusing to acknowledge the massive contribution from aviation to the smogs in London. but LBC will not take our calls on this subject. We can point at the sky until the planes fly home, and some people just wont listen. Show them a time-lapse film of a blue sky being decimated by ‘stuff’ that come out of the back of commercial passenger jets, and then another and another until they realise this is our weather EVERY day – made by aircraft – and they soon start to listen. We now invest a lot of time and money recording the skies over West London (almost) every day so that nobody can deny this has been happening. The camera never lies. Visit our Time Lapse Skies Vimeo Channel here. 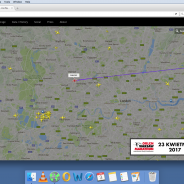 We have reported flights passing over london very low while broadcasting false ADS-B altitude data to the CAA but have so far been stonewalled. 2017 is the year when we be relentless in our reporting of this behaviour to the organisations that are supposed to regulate aviation and protect us, so as to make it impossible for them to ignore this any longer. Posted by Ed on 2:25 pm in blog | Comments Off on Happy 2017 ? Lufthansa flights are regularly routed out of their way to pass over London. They fly very low – under 20,000ft – while broadcasting false altitude information. So, Sadiq Khan… Does the low emissions zone extend up to 40,000ft? In 2014 the world’s climate scientists convened in Berlin for the first global discussion on Climate Engineering. We were there but did not record or publish anything significant from that event. In 2015 we attended the Climate Engineering Research Symposium, also in Berlin, and produced this documentary. Next October the 2nd global Climate Engineering Conference will be held in Potsdam once again, from 9th-12th October 2017. We will be there with a full production crew this time to repeat the success of our first documentary. Look-Up.org.uk is the only organisation documenting these events from a sceptical standpoint. We have gained respect in the CE community for our work and professional stance, and so we hope to expand on our efforts to date by documenting this event and the global move towards engineering our climate. David Morrow speaking about the Slippery Slope principle at the Berlin Climate Engineering Research Symposium in 2015. With this in mind we should all be concerned about an article published on the TU Delft website which shows that despite the increasing scepticism about Global Warming and its re-branded name Climate Change, the core groups of pro-SRM hardliners are full steam ahead developing aircraft that will spray Sulphuric Acid (ref: David Keith 2016) into the upper atmosphere so as to reduce solar radiation at ground level. The insanity continues unabated. Rosalind Peterson at the UN discussing the possible harmful effects of current Solar Radiation Management programs on agriculture and the environment in general. She also discusses the effect of reducing the efficiency of solar power. If one accepts that the airlines being used in these programs are backed by oil-producing nations then it seems clear that reducing the potential of solar power may be a deliberate and desired effect. As always, follow the money.